24/10/2012: You may be able to swap your iPad 3 for an iPad 4! 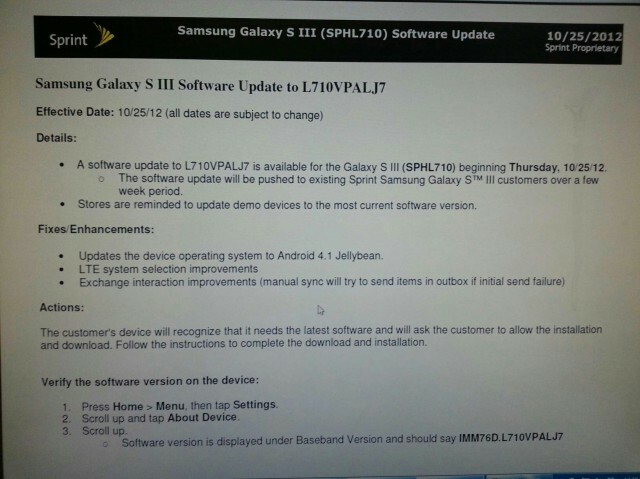 Galaxy S3 updates and more! You possible could exchange your recently purchase iPad 3rd Gen for a 4th Gen! Yesterday the tech world stood and watched Apple announce the iPad Mini, a new 'retina' Macbook Pro, new iMac's and something none of us expected, a new version of the 'new iPad'. That last version was released only seven months ago, so no one was expecting a refresh this quickly. But, alas update Apple did. They included a new A6X processor, perhaps to power the influx of powerful new apps on the tablets, as well as a new lightning connector and improved 4G connectivity options. There may be a few of you out there who bought the device in the last few weeks! If you bought it in the last 14 days you can always run to the store and exchange it just as if you were returning it, because the fourth generation is the same price as the third generation. But, for those of you who bought it outside of that two week window but within a month may also be able to exchange your device. There have been reports today that one store in San Francisco in Americas is allowing you to swap your iPad over, if you bought it in the last 30 days. We don't know how many stores this will apply to, but you should call your local store to see if they're will to offer you the deal! Comments from the San Fran store are below! "The manager at the Stockton Street store in San Francisco explained that “this specific store” would allow purchasers of the third-generation iPad to exchange their device for the fourth-generation iPad if purchased within the last 30 days. She emphasized that, unless the recently-purchased iPad showed serious signs of wear-and-tear, the usual 14-day return policy would be waived. It's been announced today that Rollercoaster Tycoon is coming to Android and iOS in early 2013! Borderlands Legends is officially coming to iOS on October 31st! Samsung's unlocked Galaxy S3's are currently getting their Jelly Bean updates. The only issue is that people are in a queue and if you request it now you might be served with a message which says, "Access to the software update service is provided to users in the order in which they requested it. Try later'. That's what we've got, which is slightly annoying! Apple's recently announced iPad Mini has apparently going to have shortages for the first few weeks if analysts have predicted the sales correctly! Also, Apple's SVP Phil Schiller has stepped in to defend Apple's pricing on the product after yesterdays announcement pegged the iPad Mini at $130 more expensive than Google‘s Nexus 7 and Amazon‘s Kindle Fire HD. Both of which are $199 for the entry-level models, while the iPad mini sells for at least $130 more. Reuters has said that Schiller strongly believes consumers are willing to pay the higher price to get an iPad and the iOS experience. Schiller pointed out that people have consistently chosen the $399 iPad 2 over 7-inch tablets in the past, which sell at lower prices. With that, Schiller thinks that selling the iPad mini will pose very few problems and that the device will be even a better deal for those who were originally thinking about buying a full-sized iPad, but would perhaps prefer a more compact size! The Next Web has reported that Twitter is currently testing two new buttons; there's a "Like" and "Star" button. The latter of which is expected to replace the favourite button. Netflix has had a good Q3, with the streaming service adding two million more subscribers and earning $8 million in net income during the period. Huawei has announced that they will offer unrestricted access to their source code in a bid to disprove the United States' allegations of the company spying for China. Apple's 'bounce-back patent' has been invalidated in the Netherlands today too!